even on a Happy Hallmark card day, like Father’s Day. and how to *become* the empowered masculine energy that our world needs within ourselves, first and foremost. Now, it would take me an entire book or more to explain ALL OF THAT. 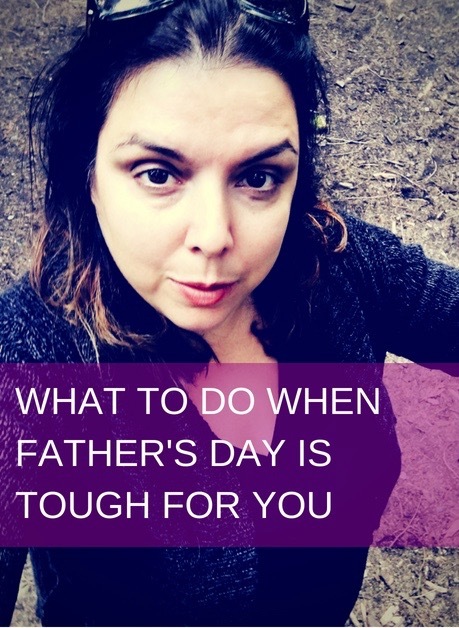 NOT dealing with your father wound, which is all the disappointment you felt as a child, when it came to the relationship with your dad = holding back your business success. and you’re being a spoilt princess even thinking about how your father hurt you. They affect your whole life. All 80-100 years of it. And it’s nobody’s business but your own to get them aligned, straight, and working for you in your life, instead of against you. Because when you're FEELING GOOD, everything works, doesn't it? then your life has morphed into some twisted adaptation of what it was meant to be. and how you're meant to be expressing all of this in your business right now. which you may have even internalized. that you’re now working against yourself. This manifests as an out-of-control Inner Mean Girl who drives your life bus. Most likely, you’re not even aware of her, as you keep on keeping on, not dealing with all this deep sh*t.
She eats at your self-esteem, your confidence, your ability to experience your true CAPABILITY, productivity, and potential. AND all those patterns you’re so frustrated about with your romantic partners? Not dealing with it makes you susceptible to repeating THE VERY WOUNDING you originally got so hurt from. Then you end up inside of a never-ending looped day/week/decade/life like Bill Murray in the movie Groundhog Day. Toxic dark shadowy love, romance, men, and marriage patterns then REPEAT REPEAT REPEAT THEMSELVES, year after year, decade after decade, driving you bonkers. the greatest gift they’ll ever know. then getting on with the successful damn life you know damn well you’re meant to be living. to make a commitment to yourself right now, to get to the work of doing this. to walk this path now. I love myself enough to do it. I will figure out how. I’ll face the father wound within me, to ensure the rest of my life expereinces, DEEPLY FULFILL my soul. and let the golden energy in, on all levels: relationships, health, spiritual, emotional, mental, financial.